I ordered online on August 13. It was shipped on August 14. Then I got no news until August 21 when they told me *again* that my order had shipped. I got it August 24. Seems that they ship from the USA, to Canada, to the client. It's a bit ridiculous if you ask me and I find the shipping extremely long for the amount it costs. See beauty delights' similar experience HERE. She was even missing her samples! As Canadians, we already pay different price (Samantha's Smokey Eyes by Buxom was 6$ more on the Canadian site) and have to pay shipping under 75$ instead of 50$ and we also have to wait this long?! I find the service pretty bad. My freebie samples. Kat Von D lock-in tattoo foundation. 4-pack of Naked foundation. Smashbox primer. Tokidoki Perfetto eyeliner (6$) for me and Buxom Samatha's Smokey Eye (26$), for my best friend Samantha! I tried the Anastasia gloss and I find it very hydrating and to me, feels great on the lips and the shade really is totally "moi"! The applicator is really horrible and I was only able to use it to slap on a bit of product on my lips before smoothing it on with my fingers and lip smacking. Ridiculous idea to have a weird plastic paddle as an applicator. It dispenses the wrong amount of product and it's hard to handle. Hate that part. This gloss is regular price 27$ for 2.2 mL which is really the closest thing to the Naked Princess gloss I reviewed in terms of price. I'd prefer the Naked Princess gloss over this one. This is only my thoughts on the product without trying it - it's not even mine afterall! Without trying it, I feel like it's a great price for what's included. It has 4 full sized products: a lip gloss, a liner, a smudge brush and a mascara by Buxom. The packaging is cute and comes with a sort of story about Samantha. Tokidoki products are being discontinued at Sephora so they were on special and this eyeliner was for 6$. I put it on this morning and it's not bad! It easily applies the type of line that I want but it's a hard marker-like applicator which probably wouldn't work super well for artsy designs. It's not smudge-proof. Still, it has been the easiest for me to achieve the line I want so it will be a go-to for me. hehe, i was just about to film a sephora haul today. i've been ordering A LOT from sephora online and my last order finally arrived on friday. i agree that the wait time is too long! i think they ship the orders to their canadian facility first so the customer doesn't have to pay the duty... but i'm not 100% sure about that. I have nevered ordered online from Sephora...yet LOL. I am lucky enough to have one here. But the price difference, shipping cost and wait time is what has actually stopped me from ordering online. Great samples though. The Canadian prices are the same both online and in-store. 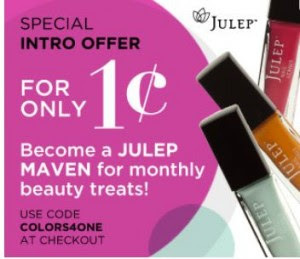 What's nice about ordering online is that you do get multiple free samples and there are often codes or promos that you can take advantage of online that are not active in store. The ONLY reason I ever go into the Sephora store is if I really only want one or two things and not $75 worth of stuff. The new $75 free shipping limit is MUCH better than the old $125. shipping to Canada from Sephora online is TERRIBLE. I had an absolutely horrendous experience with them, (read about it here). I will only shop in-store from them now. the color of the gloss looks very pretty and i remember that i was weirded out with the plastic applicator too. the Buxom Samantha kit looks fun! I really like the gloss but yeah, totally idiot applicator, I can't believe they thought it would be good to put on a product like this.